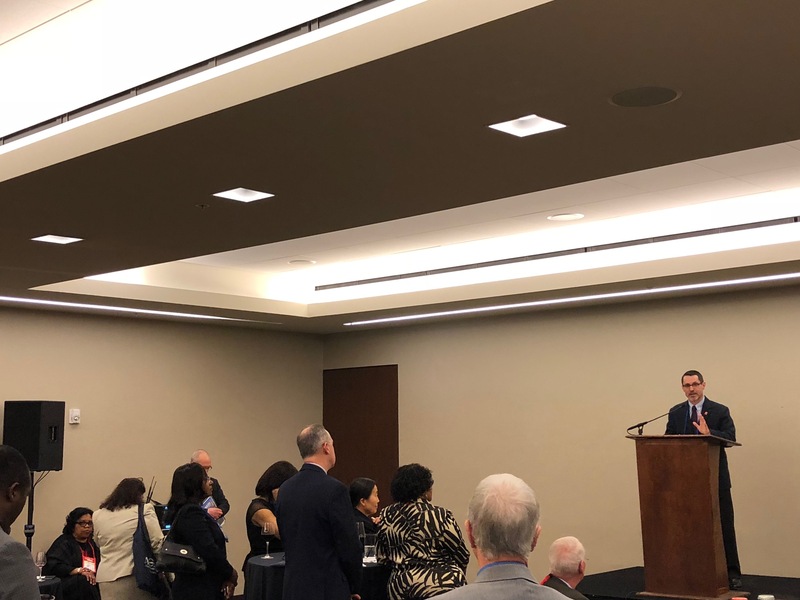 ACE President Ted Mitchell and ACUE Founder and CEO Jonathan Gyurko provided an update on ACE and ACUE’s collaboration to over 100 presidents and chancellors who attended an opening reception at ACE’s 100th Annual Meeting this week. ACE and ACUE’s landmark collaboration was formed in 2016 to expand dramatically the use of effective teaching practices to benefit students, faculty, and institutions. Dr. Gyurko’s remarks are published below for our readers. Thank you so much, Ted. It’s an honor to be ACE’s partner in this work. About four years ago, with many of you and your colleagues, we started a conversation about how we could help many more students get a great education, and graduate. We noted that students spend more time with their professors than any other college professional, and that for many who are juggling a lot of responsibilities, this time is our best—and sometimes only—opportunity to make a difference. We asked ourselves—what could we do to help you strengthen these defining moments in a student’s academic career, and make great teaching the norm? Now four years in, we hear from faculty every day who are learning together at our partner institutions, as they reflect on, and write about, the changes they’re making to their teaching, and the impact on students. Their experiences align with our program data finding stronger student outcomes, and we’re often struck by just how much their reflections are full of joy (which I recognize isn’t the emotion typically associated with faculty). We don’t think it’s by accident. We see a strong desire among adjunct, tenure-track, and tenured faculty to develop the skills that weren’t part of their doctoral or professional training. They’re welcoming the support, as are many teaching centers, who want to expand their reach and measure their own impact. I’d like acknowledge what a privilege it is to be entrusted with work that is so core to our shared mission, and—as with anything that asks another person to make a change—that must be done with care and respect. Every minute is indeed precious, and I thank you for giving me a few of yours. Have a wonderful conference.